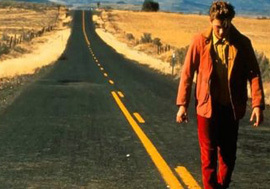 Apr - 04 | By: Oregon Film | 2 comments. As part of its 50th Anniversary, Oregon Film has teamed up with the Hollywood Theatre to bring several films shot in Oregon back to the big screen – earlier this week was this month’s offering, “My Own Private Idaho.” Gus Van Sant’s Shakespearean tale with River Phoenix and Keanu Reeves follows two friends, Mike and Scott, as they embark on a journey of personal discovery that is mostly set in Portland but takes them to Mike’s hometown in Idaho and finally to Italy in search of Mike’s mother. 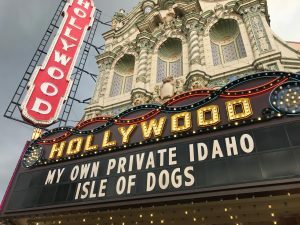 Visually and stylistically stunning in every way, “My Own Private Idaho” brings together many of the best attributes of the contemporary “Oregon Cinematic” genre. It was presented on a 35mm print and movie-goers were lucky to have DP, Eric Edwards stay for a Q & A after the show. 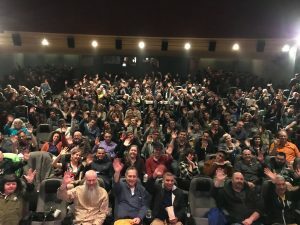 I am sure that you will be including the film, “House of Last Things.” This Portland based Independent film based in Portland, OR with director Michael Barlett! The film includes Emmy award winner, RJ Mitt. Diane Dalton, AKA Sarah Dunne in this film.